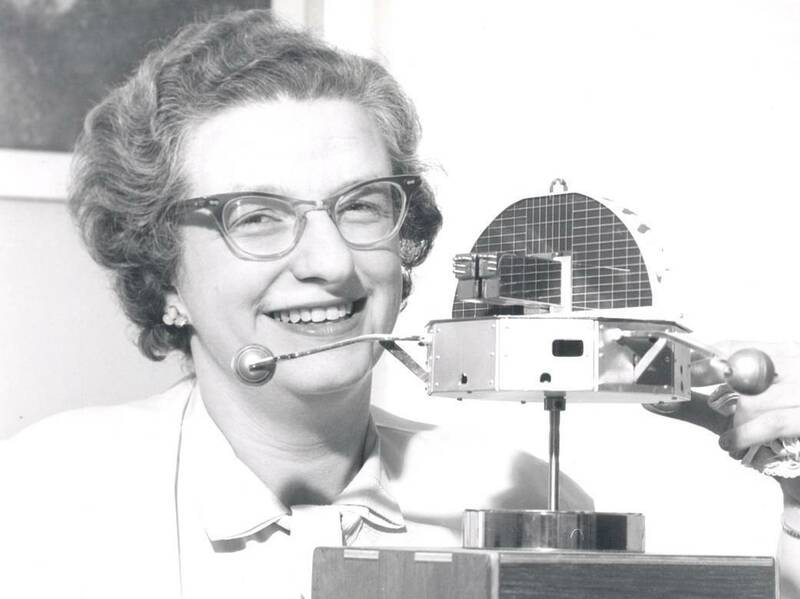 NASA Astronomer Nancy Grace Roman, 'Mother' Of Hubble Space Telescope, Is Dead Roman was one of the first female executives at NASA, its first chief of astronomy and she played an instrumental role in making the Hubble Space Telescope a reality. She died on Dec. 25. "She looked down her nose at me and sneered. What lady would take mathematics instead of Latin?" Roman went on to get a bachelor's degree from Swarthmore College in Pennsylvania in 1946 and a doctorate from the University of Chicago in 1949, both in astronomy. After working at the Naval Research Laboratory, she then joined NASA in 1959. "NASA was a whole six months old and it was a great place to work at that time," Roman said in her 2017 interview. "Everybody was gung ho." From the get-go, Roman promoted space-based astronomy, where instrumentation is based in space unlike traditional ground-based astronomy equipment, such as telescopes. The reason behind this push is that looking through the Earth's atmosphere blurs or lessens the quality of the observation. But, convincing ground-based astronomers that space astronomy was worth it wasn't easy, according to David DeVorkin, senior curator of the National Air and Space Museum. "She had that very, very large egalitarian view of how to make space astronomy part of astronomy and I think that is a very important legacy," he said. Her efforts helped lead to the creation of the Hubble Space Telescope. In her role at NASA, Roman developed and planned the Hubble Space Telescope, which is famous for its stunning images of space. 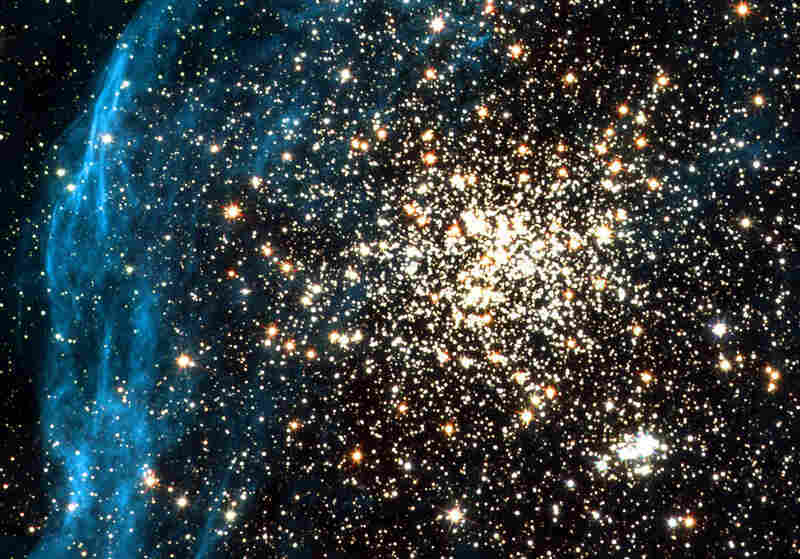 This image recorded by the Hubble telescope on July 10, 2001 shows two clusters of stars in a neighboring galaxy. 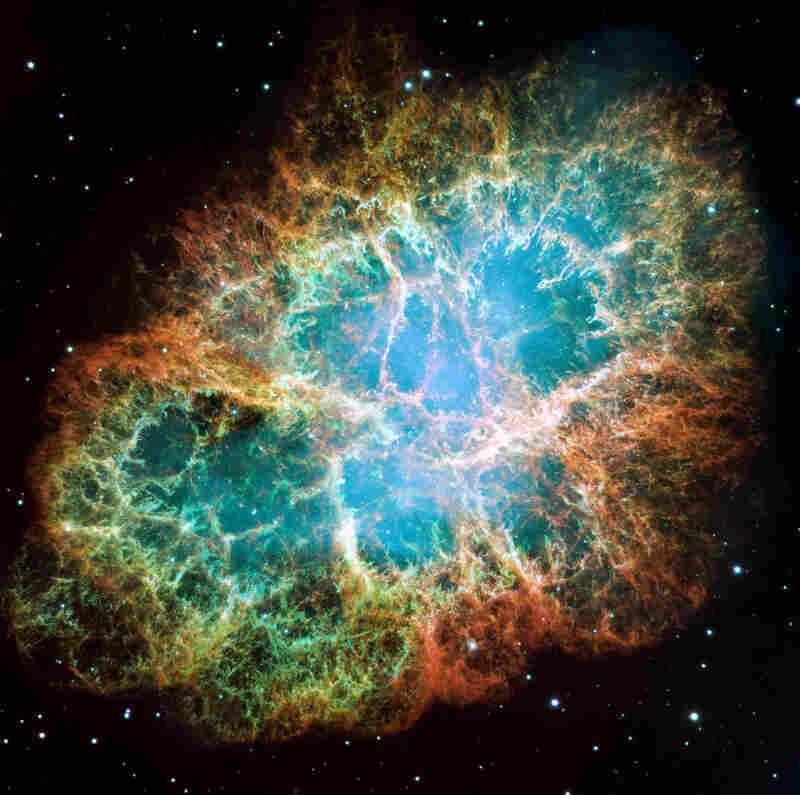 This image, taken Dec. 2, 2005, shows an expanding remnant of a star's supernova explosion. The orange filaments are the remains of the star. 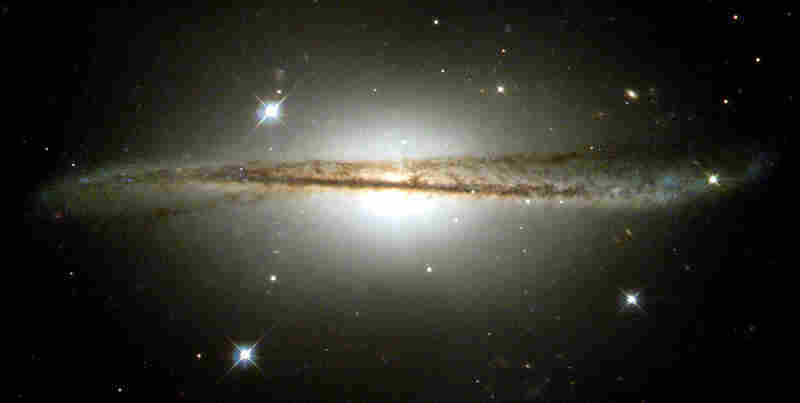 This undated image shows the ESO 510-G13 galaxy, which has a warped dusty disk. 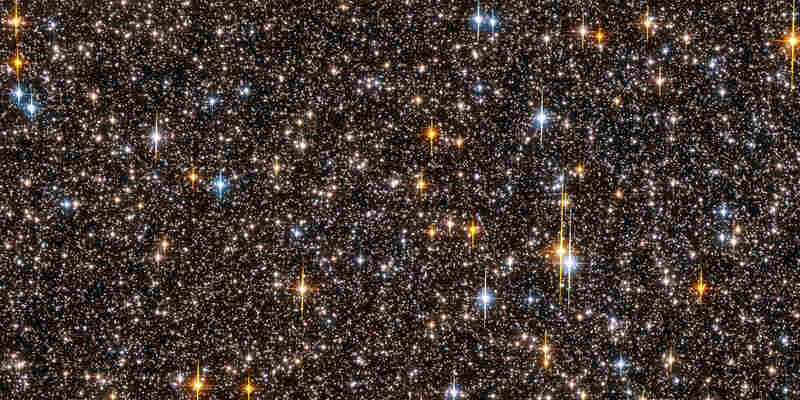 This photo, released 04 October 2006, shows one-half of the Hubble Space Telescope field of view. 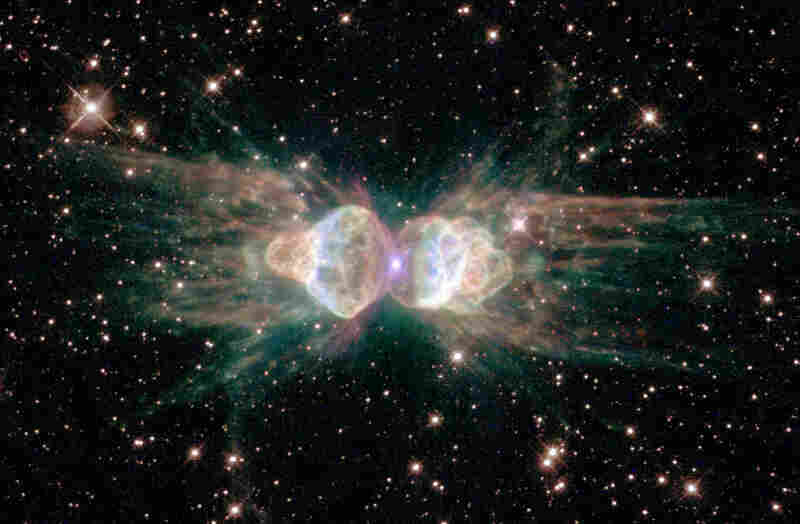 This image, released Feb. 1, 2001, shows a dying star in the so-called "ant nebula." 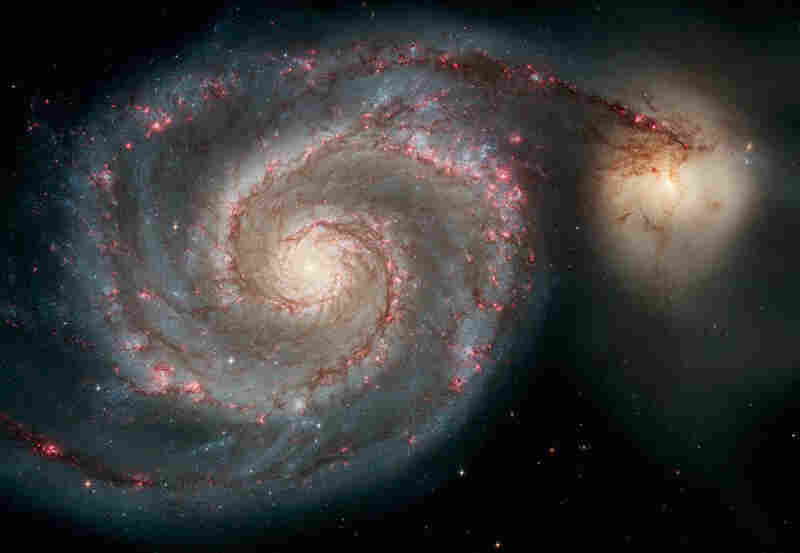 This image, released on April 25, 2005 for the Hubble Space Telescope's 15th anniversary, shows the Whirlpool Galaxy. This image, released on April 25, 2005, shows the Eagle Nebula. 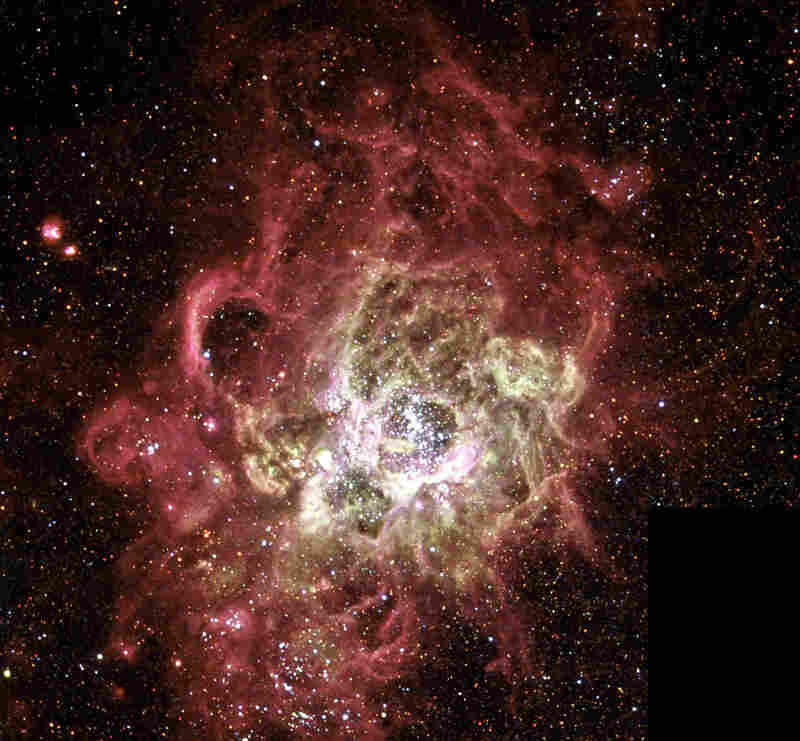 This image, released Dec. 4, 2003, shows the NGC 604 nebula, one of the largest known regions of star birth in a nearby galaxy. 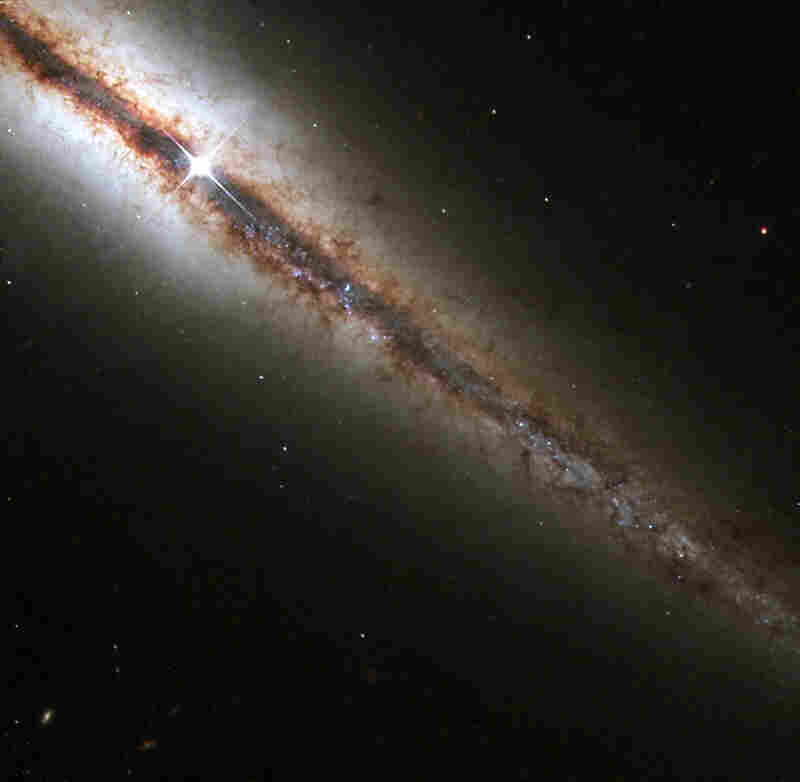 This image, dated March 1, 2001, shows the NGC 4013 galaxy, which lies some 55 million light years from Earth. This deep-space image, taken on Jan. 7, 2003, shows galaxies that are 13 billion light-years away. 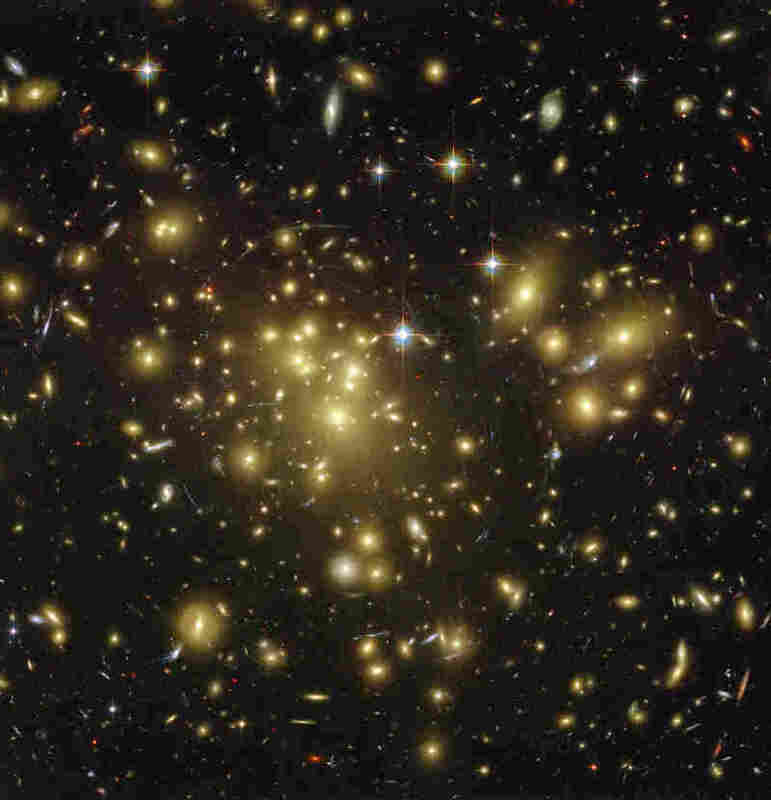 Because of the Hubble Space Telescope, scientists have been able to collect data and gain insight into even the most remote galaxies of the universe. The success of the project led to future space telescopes. Roman's work, however, reached far beyond just the Hubble Space Telescope. In an interview with NASA, Roman once stated that one of the highlights of her career was when she discovered the first indication that common stars were not all the same age. 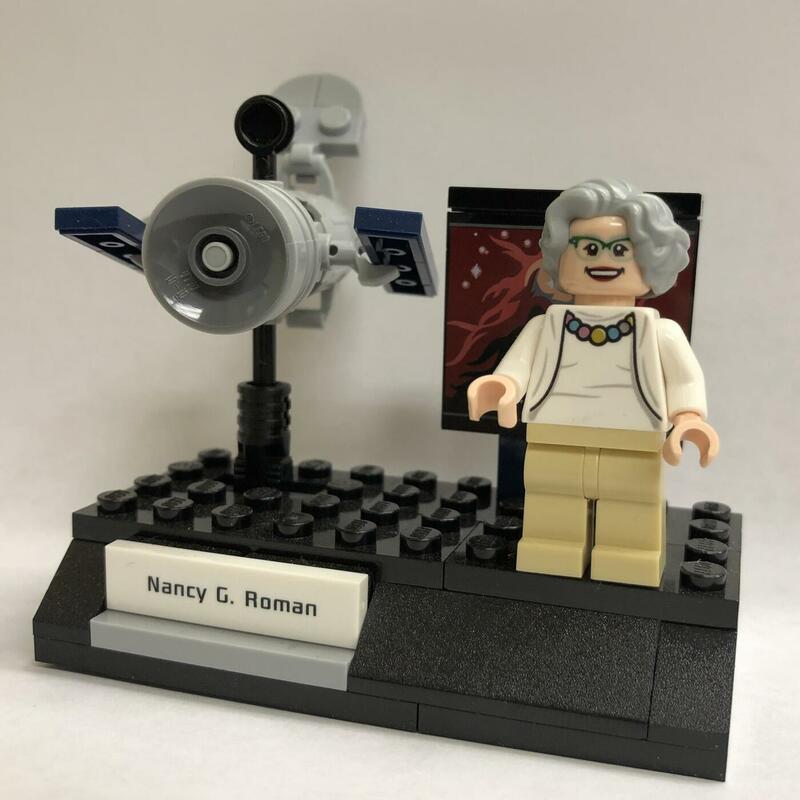 Lego honored Astronomer Nancy Grace Roman by including her figurine, shown next to the Hubble Space Telescope, in a set of groundbreaking NASA women. Roman retired from NASA in 1979, but her work earned her the Women in Aerospace Lifetime Achievement Award and the NASA Exceptional Scientific Achievement Award. She was given a special honor last year when she was highlighted in a Lego set of four groundbreaking women at NASA. In the Lego set, her figurine stands next to a miniature Hubble Space Telescope — a replica of the instrument that brought the world dazzling images of the stars she had loved so well as a child.